Sunday, June 7, 2009, somewhere in Bibb County, Ala. 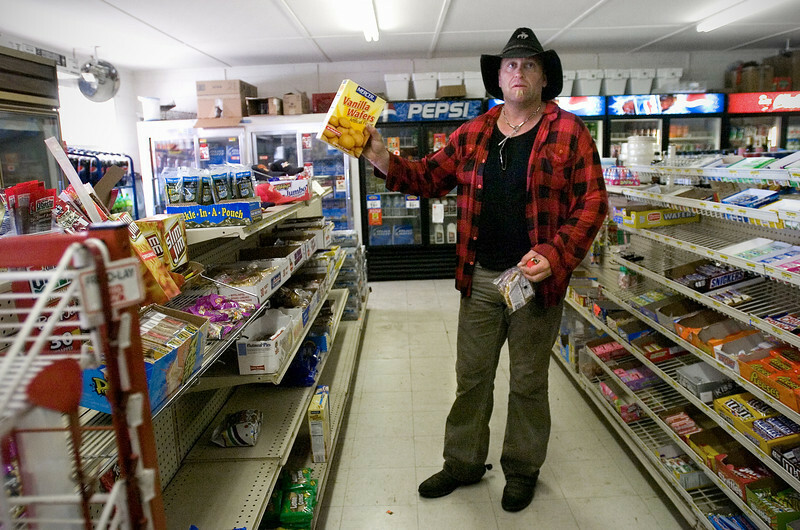 While his horse is feeding in a nearby field, Joe Guy goes to a shop to buy some groceries. There's some confusion between Guy and the shop owner, Sid Cannon (not pictured), when the Australian asks for biscuits, meaning (in American English) "cookies."